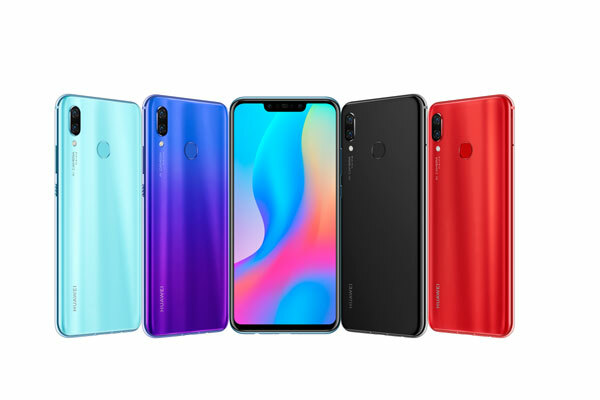 Huawei Consumer Business Group (CBG), a global smartphone giant, announced the launch of its new Huawei nova3 and Huawei nova 3i in Bahrain. Both smartphones are powered by Artificial Intelligence (AI) in its overall functioning and camera features. With dual front camera (24MP+2MP), users can expect the best-in-technology ‘selfie’ that a smartphone can offer. Huawei nova 3 series was initially designed with the younger and trendier consumers in mind, for whom a smartphone is not just part of their lifestyle but also represents their personal style. The series is designed to offer an AI-enhanced lifestyle, which includes a huge focus on an outstanding selfie experience with its AI beautification features and front camera that allows one to capture AI selfies. “We are delighted to announce the launch of Huawei nova 3 and Huawei 3i series in Bahrain. Both these smartphones have unparalleled AI capabilities and exceptional front camera features that capture every detail beyond the face in a selfie. It introduces AI background scene recognition in front camera and has the ability to recognise age, gender and skin tone to capture perfect AI selfies,” said Bill Yu, Middle East Multi countries county manager, Huawei Consumer Business Group. Huawei has globally led the AI-powered smartphone category based on its industry research and development over the last year and has reflected its innovations across all its product categories. The Huawei’s new nova 3 series offers state-of-the-art dual front and dual back cameras with 24 MP and 2 MP that powered by AI.